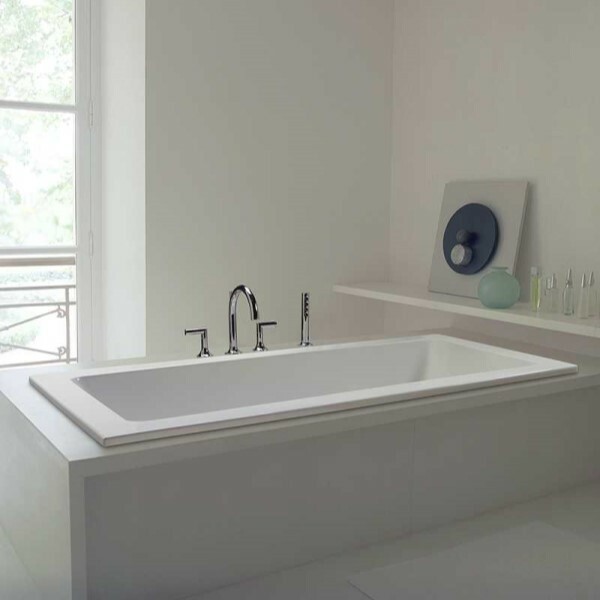 A long bath, the Andrea 8 offers a roomy rectangle tub with a simplistic and straightforward design. The center drain with two backrests provides the option of two bathers. Flat rim for drop-in or undermount application. 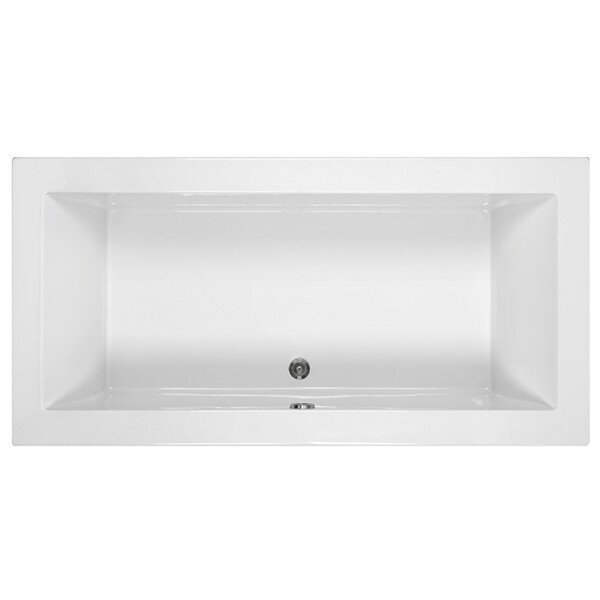 Options include tile flange and skirting for alcove bath or freestanding with Sculpted Finish. Choose your perfect bath: Soaking Tub, Heated Soaking, Stream Bath, Microbubbles, Air Bath, Whirlpool or Combo Whirlpool-Airbath. 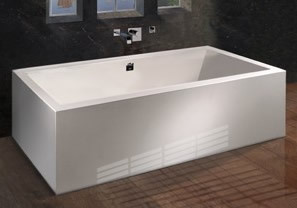 Tub Size: 71.625" x 36" x 19.75"
Bottom Interior: 50.5" x 25"